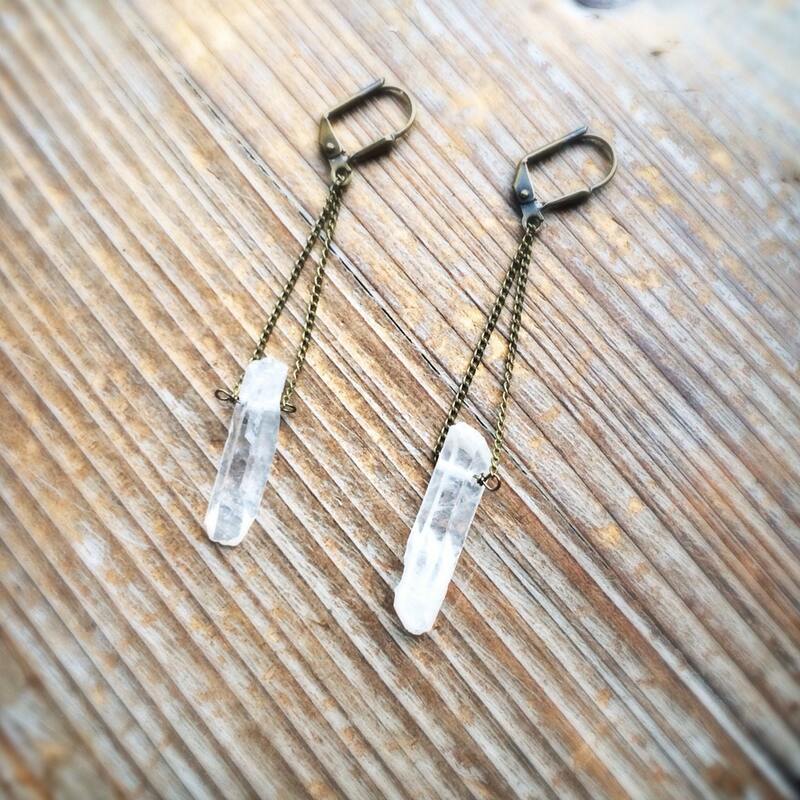 These raw quartz pendulum earrings are perfect for everyday wear. 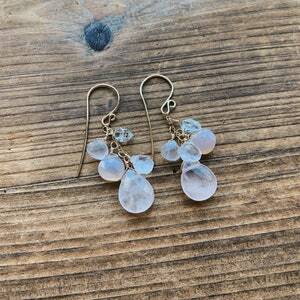 Pieces of raw quartz are wire wrapped onto petite brass chain. 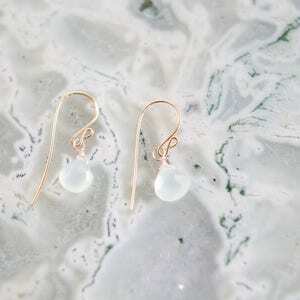 The earrings are on lever ear hooks, which are lead and nickel free. 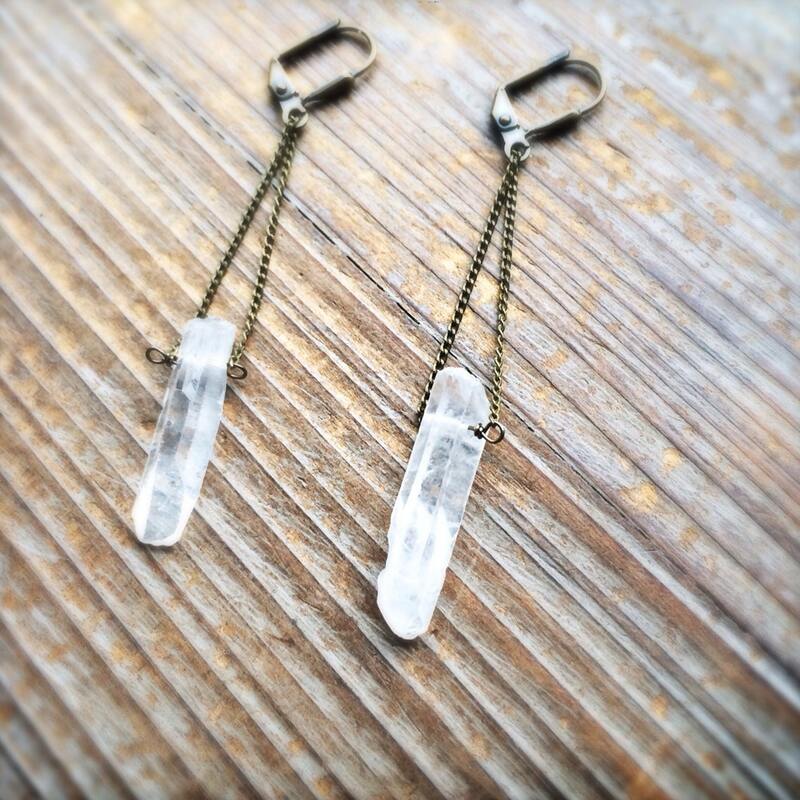 Quartz is a balancing and cleansing gemstone. 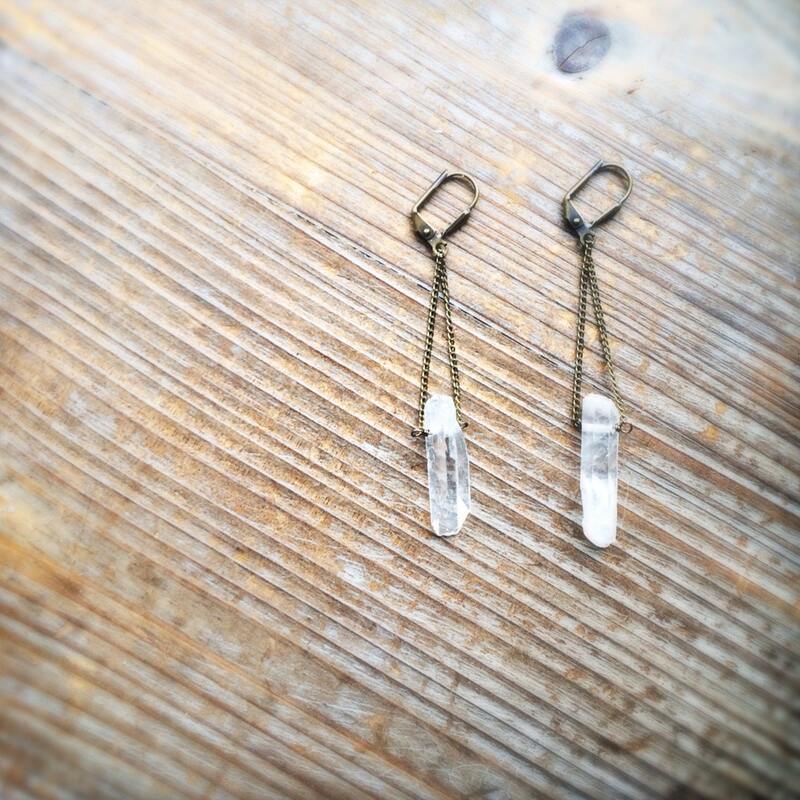 It makes me giddy to think we are always walking on top of quartz beneath the stars. 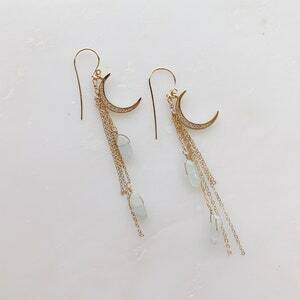 These earrings also function as a pendulum. 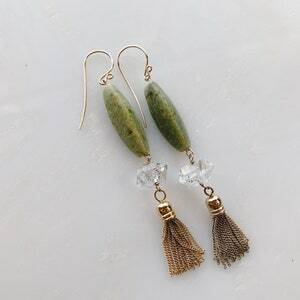 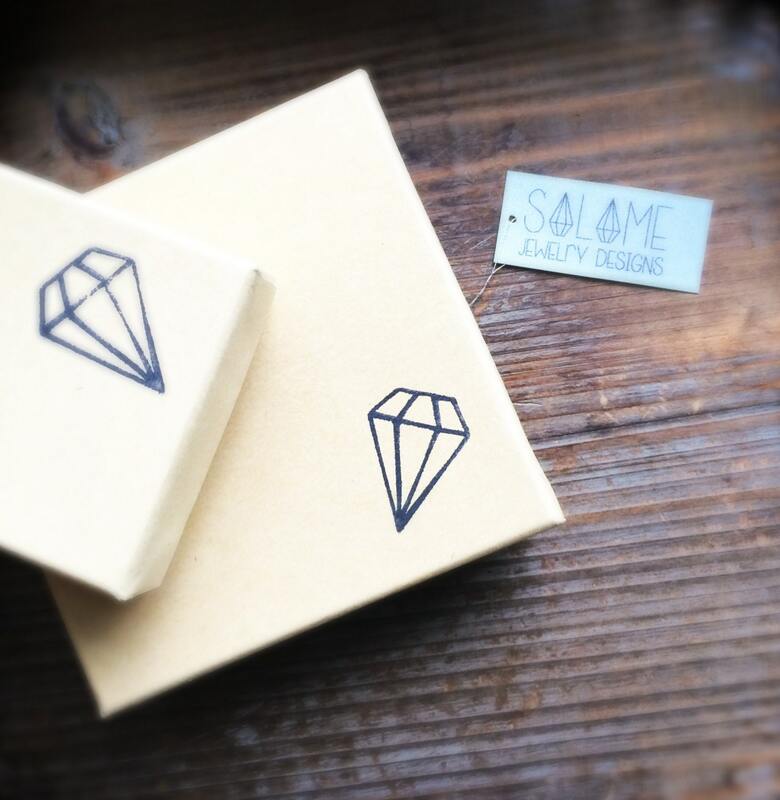 These earrings are made to order, each pair will vary slightly but will be one quartz from brass chain.